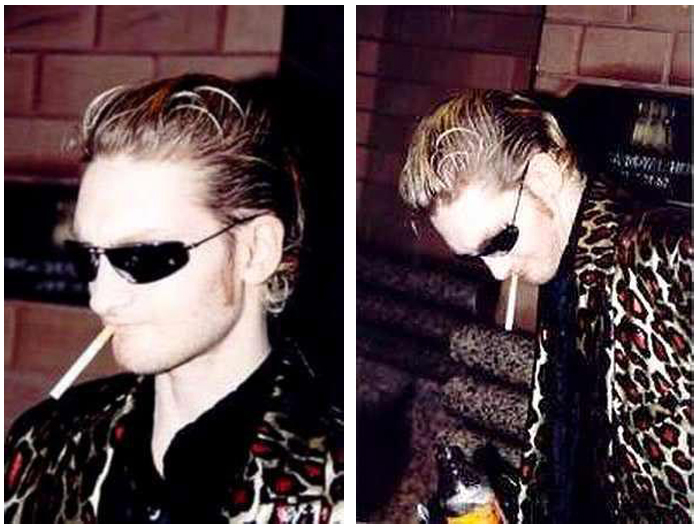 These are the last know published photos of Layne Staley alive. 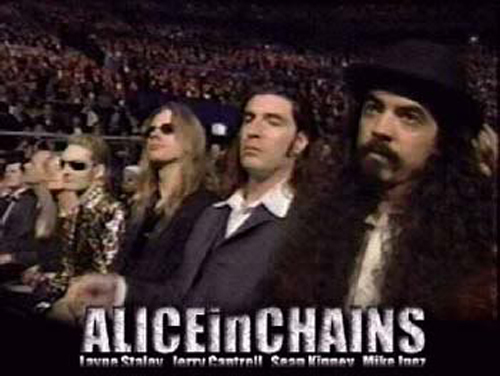 The photos were taken on February 26, 1997, when he and the other members of Alice in Chains attended the Grammy Awards. Staley became more reclusive after this appearance, barely leaving his Seattle condo from 1997 until his body was found on April 19, 2002. Staley’s mother owns the last photo of Staley, taken on February 14, 2002, which features him holding his new-born nephew, Oscar. That photo has never been published. UPDATE 2: Another photo of Staley from a few months earlier in 1998 has recently surfaced. 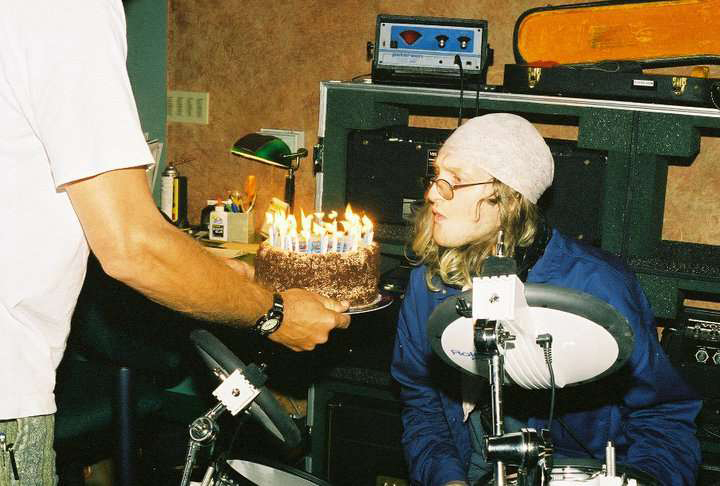 This one is from Alice In Chains’ last recording session together in Los Angeles in the late summer of 1998. AIC had gotten together to record two new tracks for their Music Bank box set, “Get Born Again” and “Died“. Staley’s birthday was August 22, so the photo was taken on or around that day. Thanks so much for this; I've been searching for these photos for a long time. How was Staley brilliant? His only talent was he could sing, there is no brilliance needed for that. If he was so smart, he wouldn't have been shooting heroin, coke, smoking crack, inhaling paint fumes, and who knows what else. It is sad that he chose to throw his life away. hey irreverent, clueless dipshit, If real rock singing requires no talent, then everyone would be a rock star because a rock star is only like the MOST f*** envied gig on known to man. Layne was one of the best rock singers of all time; his hypnotizing rasp was, and still is unprecedented. Bonus rip: that fair-weathered loser, phony singer-sidekick reject, one Jerrold C. fantasizes like a spoiled, daydreaming child of just for one second sounding anything like Layne. 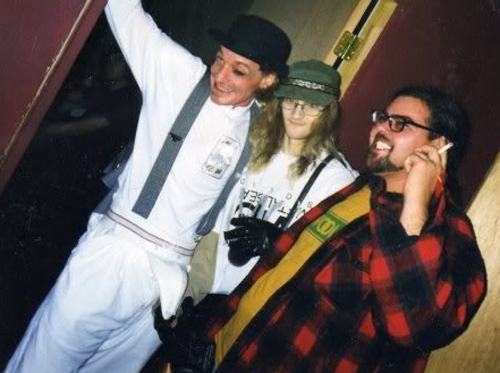 You were right, Layne…f*** them ALL. Your vibe and pain live with me bro.